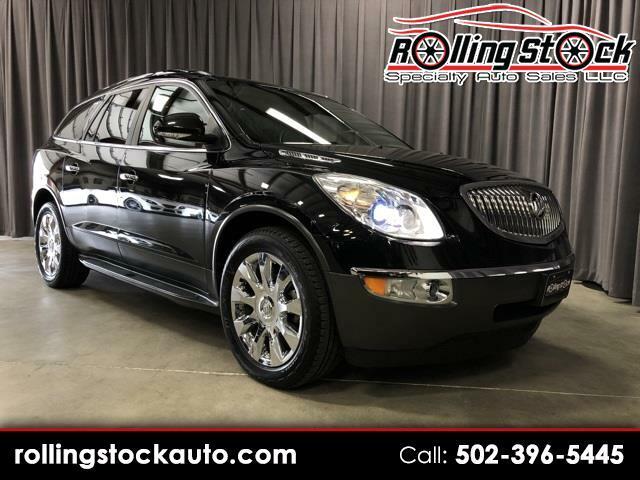 2012 Buick Enclave Premium Group- Local New Lexus Trade with Clean Carfax Title History and Great Documented Service History. Options Include Molded Assist Steps, Roof Rack Rails, Cargo Area Mat, Touchscreen Navigation System, Rear Seat DVD Entertainment System, Power Panoramic Sunroof System, 20 Inch Chrome Wheels. One Look and You Will See This Non-Smoker, Garage Kept Enclave Has Been Pampered and Still Looks New Inside and Out. Contact Cary Donovan 502-396-5445 to Schedule Your Appointment to See This Awesome Find. I Have All Books, Keys, Remotes and Even the MSRP Window Sticker Showing $50,095 When New..